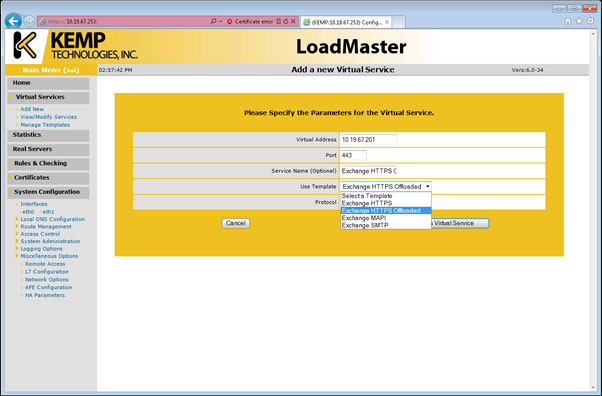 In a earlier blogpost on load balancing Exchange 2010 I explained how to achieve this with a Kemp Loadmaster. In this blogpost I’d like to demonstrate how to configure this with an F5 Local Traffic Manager (LTM). This is actually part I of what I’ve demo’ d in the MEC 2012. The configuration looks like this. 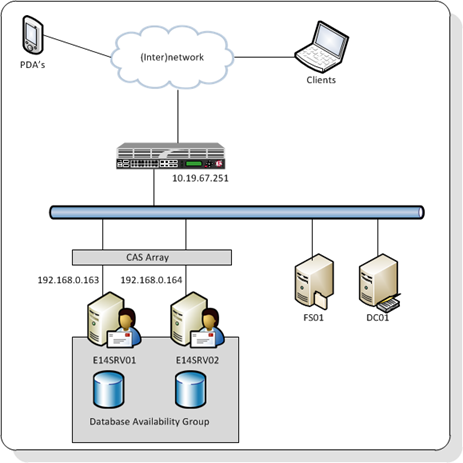 There are two multi-role servers configured with a Database Availability Group (DAG). There’s a File Share Witness (FSW) configured on server FS01. The F5 itself is installed in a two arm configuration, so the VIP for the clients is on a different subnet then the Exchange Server.